Wine Country Flyers are fortunate to have several great hobby stores in the area. We are grateful for their continued support and we recommend you check out these local stores for all your modeling needs. 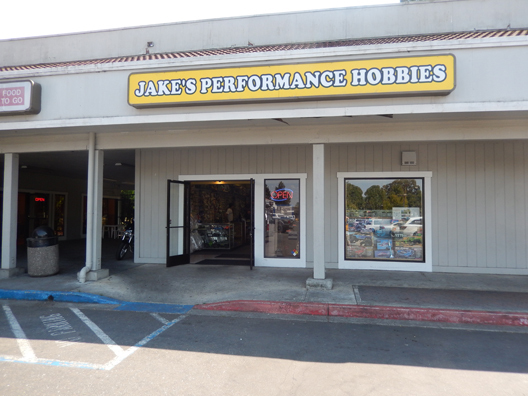 Jake's Performance Hobbies, Rohnert Park. Jake's Performance Hobbies in Rohnert Park has a complete lineup of electric RC aircraft, Quads and helicopters. Full line up of radio equipment, motors, batteries and any tool you might need. See shop photos and take the tour. Fundemonium Toys, Hobbies and Games, Petaluma. Fundemonium, Petaluma is located in Petaluma Plaza and carries a full lineup of RC aircraft and cars.